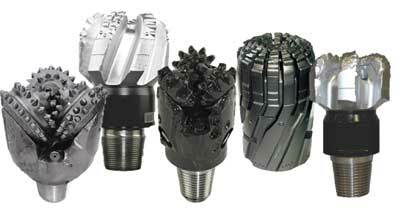 Manufacturers make drill bits from different materials so that they are suitable for different projects. Some of the materials used to make drill bits are carbon steel, high-speed steel (HSS), cobalt steel, titanium-coated, and lastly carbide. Carbide drill bits are the best when it comes to drilling through very tough materials, despite being comparatively more costly. In the next sections, we detail the criteria we used to pick the best drill bits, followed by a review of ten best drill bits, and lastly a Frequently-Asked-Questions section. 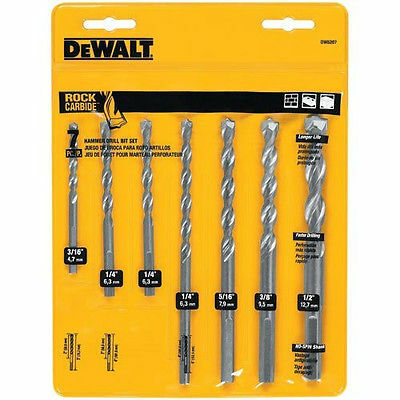 In case you are in the search for a heavy-duty set of drill bits, look no further than the DeWalt DW1263 14-Piece bit. As the name suggests, all the bits feature a Pilot Point tip thereby ensuring that all your holes will be identical in size. Since the rotation of the bits begin after they come into contact with the drilling materials, you will end up with very clean holes. There is a significant reduction in the possibility of a lock-up, as is regularly the case with average drill bits. All the fourteen DeWalt DW1263 drill bits are made from industrial-strength cobalt, and the manufacturers go a step further in making sure their labelling is done accurately. Given the sheer number of the drill bits, a durable carrying case made purely out of industrial-grade ABS materials is also provided. Consequently, the risk of your DeWalt DW1263 drill bits getting misplaced or accidentally damaged are quite minimal. The DW1263 drill bits have a range of between 1/16th-inch and 3/8th-inch and show remarkable performance when it comes to drilling through stainless steel. The package comes with a wide variety of drill bits. These are two 1/8-inch, a single, 5/64-inch, one 3/32-inch, 7/64-inch, two 1/8-inch, one 9/64-inch, one 5/32-inch, one 3/16, one 7/32-inch, one 1/4-inch, one 5/16-inch, and lastly one 3/8-inch drill bit. Such a broad range of drill bits adequately meet all the needs of a majority of professional drillers. And by extension, they should also meet yours as it is a reasonably wide-ranging set of drill bits. The use of the industrial-grade cobalt alloy on the DeWalt DW1263 drill bits means that there is no reason worrying about the possibility of the coating wearing out, irrespective of the conditions you subject the drill bits to. The cobalt alloy also has longevity and durability implications, guaranteeing you that you will continue using the drill bits for a lifetime with proper use. With the DeWalt DW1263 drill bits, you will not have second thoughts drilling through wood and densely composed steel. DeWalt is a brand known all over the word and whose name is synonymous with the production of superior quality power tools both for domestic and industrial applications. 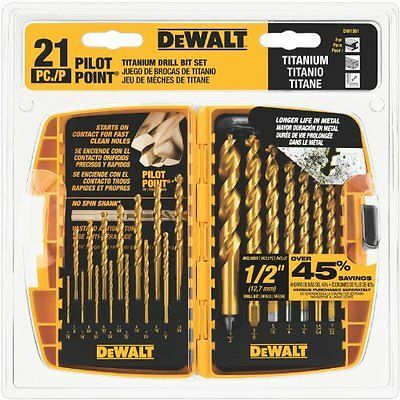 Therefore, it is less surprising that the DeWalt Titanium Pilot Point Drill Bit Set is among the second best drill sets on this list. Rather than going with the widely used cobalt coating, the DeWalt Titanium Pilot Point Drill Bit Set opts for a titanium coating guaranteed to offer you a longer shelf-life compared to coating used on other drill sets. The DeWalt Titanium Pilot Point Drill Bit Set comes with a pilot point technology making it perfect for boring through different materials such as plastic and wood. Occasionally, in light of their versatility and toughness, you can use the DeWalt Titanium Pilot Point Drill Bit Set to drill through metal, and PVC pipes. Considering their astounding performance on metal, the drill bits experience no difficulties whatsoever drilling through sheet steels of different densities. The titanium casing together with the steel bits gives it a tough structural integrity protects it against the corrosive effects of sturdy materials. Therefore, it is ideal for heavy-duty industrial applications as well as domestic ones. Couple the tough casing with the tapering of the web and the fact that the DeWalt Drill Bit Set has no spin sharks and you have a tool can last for a several generations. Additionally, there is no likelihood of the drill bit breaking due to its high resistance to the high temperatures naturally generated when boring through metals and steel. The twist construction of the drill bits greatly eases drilling through materials, ensuring a smooth penetration. 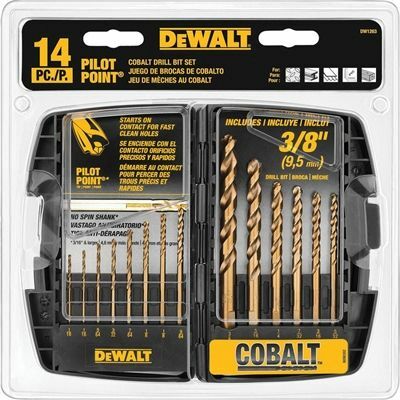 As was the case with the first review, this DeWalt set starts drilling after coming into contact with the drilling materials, so the holes will have considerably less drilling debris making them a lot cleaner. You have a comprehensive choice of twenty-one pieces of drilling bits providing you with a lot of flexibility when deciding on the most suitable bits for your applications. The sizes of the drilling bits range from between 1/16th-inch and 1/2-inch. To make the DeWalt bits even easier and more convenient to carry from one place to another, a durable carrying case is provided. Other than making it very convenient to hold all the drill bits together, they also provide additional protection against the accidental loss or damage to any of the twenty-one pieces. In all, the DeWalt bits is perfect for industrial-strength projects as well as day-to-day repairs and improvements around the house. You will be completing otherwise labour-intensive and time-consuming projects in no time with the DeWalt Titanium Pilot Point Drill Bits. The drill set comes with a 30-day money back guarantee. One of the top products from Drill American is the Drill America DWD29J-CO-PC Qualtech 29 Piece which has high resistance to both heat and wear-and-tear. The versatility of the Drill America DWD29J-CO-PC is demonstrated by how smoothly it penetrates through different abrasive materials. Drill America constructed all the drill bits out of cobalt steel before finishing off with a coat of gold oxide to make the Drill America DWD29J-CO-PC more resistant to heat. Couple this with its ability to self-lubricate and you have a tool that does not suffer any damages while boring through even the densest materials. The fact that the DWD29J-CO-PC piece drill bits are made out of cobalt steel significant increases their shelf-life by several years and simultaneously makes them wear-resistant. The split point at which the drill bits of the Drill America DWD29J-CO-PC Qualtech 29 Piece cut angles are fixed at 135-degree. Furthermore, it has a self-centering capability. In a majority of the cases, boring through materials leads to the creation of heaps of debris in the drilling area. As a result, the fact that the Drill America drill bits feature a 135-degree split point tips are capable of focussing themselves means that a pilot hole is completely unnecessary. The implication is that they will be creating tiny chips which will significantly reduce the chances of clogging. 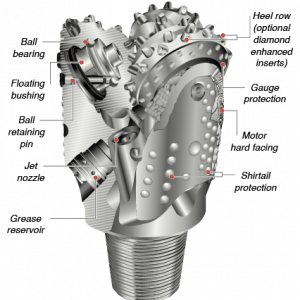 The immediate advantage of reduced clogging is an increase in drilling speed and time efficiency. The Drill America DWD29J-CO-PC comes in an easy-to-keep plastic casing. Inside the casing, the twenty-nine drill bits are carefully organized together with a bit index to enable you easily differentiate the sizes of one bit drill from the other. The sizes of the bits range from 1/16th-inch to 1/2-inch in increments of 1/64-inch from one to another. The Drill America DWD29J-CO-PC drill bits, have rounded shanks making them well-suited for most chucks. Additionally, all the drill bits have Jobber-length, which creates a perfect balance between length and reach, making the tool ideal for working a wide range of surfaces and applications. 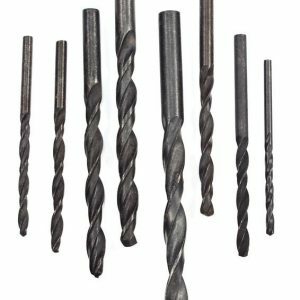 Another advantage of the beauty of the Jobber drill bits is that they are capable of drilling holes between nine and fourteen times bigger than the drill's diameter. If there is a set of drill bits whose engineering bestows it with the capacity to smoothly bore through abrasive materials with relative ease, that would be the Irwin Tools Cobalt High-Speed Steel Drill Bit, 29-Piece set (3018002). Since cobalt alloy accounts for approximately 8 percent of the composition of the drill bit set, it boasts of high resistance to extreme temperatures occasioned by drilling through tough materials. It goes without saying that since the drill bits are constructed from industrial-grade steel, they are a lot stronger and more long-lasting in comparison to other drill bit sets made from cheaper materials. All the twenty-nine Irwin Tools Cobalt High-Speed Steel Drill bits have split-point tips angled at 135-degrees. The feature guarantees the drill bits do not "walk" on your project station and that you use substantially less force when working due to the superiority of the materials used for constructing the drill bits. Consequently, the split-point tip eliminates entirely the need to drill a pilot hole. The casing of the drill bits comes with rubber molding, and, for convenience, identifying the drill bits is easy as all the recesses are properly branded. 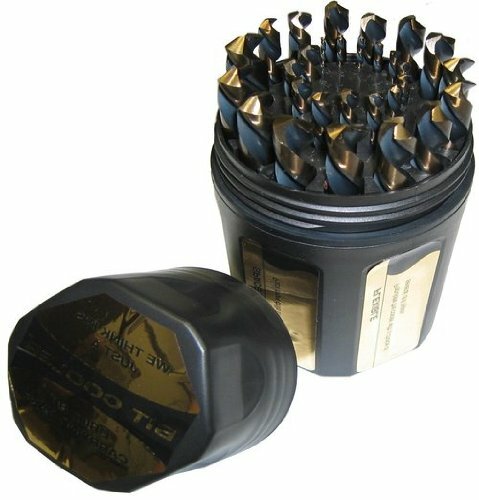 The Irwin Tools Cobalt High-Speed Steel Drill Bits are housed in separate cartridges which are in turn, contained in a carrying case. Removing the drill bits from the cartridges is quite easy and can freely be moved from one point of your workstation to another. The twenty-nine Irwin Tools bits have varying ranges, starting from 1/16-1/2", with the sizes having a 1/64-inch increments. 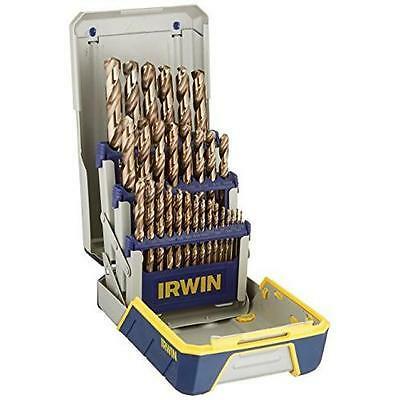 Irwin Tools made sure to cater for all your drilling requirements with this comprehensive array of drilling bits. Irrespective of whether you are a professional contractor or a DIYer, there is at least a drill bit that perfectly suits any multitude of applications you are planning to do within your shop, house or workstation. Additionally, these bits of varying sizes feature a smaller shank, making it possible for you to use these bits together with a chuck measuring 3/8-inch. Irwin Tools perfectly combine several key attributes such as affordability, durability, and great performance into a single set of drill bits. The set amply takes care of all your drilling needs to ease the process of drilling through hardened materials. This cobalt drill bits set is worth every penny you will be paying for it. In case you are on the look for a solidly built and top performing drill bit set ideal for boring through wood, fiberglass, steel and even metal, you should definitely consider the Irwin drill bit. In case you are a price-conscious contractor or a DIYer, the Makita T-01725 Impact Drill-Driver Bit Set is the right drill set for you. It offers you great value for your money as it comes with additional essential accessories that you won't have to purchase separately, thereby saving you money. All the drill sets have a coating of black oxide that does a great job keeping the devastating effects of corrosion at bay. The coating furthermore guarantees a smooth penetration through whatever material as the pieces are better lubricated and are resistant to high temperatures. Furthermore, to make the Makita T-01725 Impact Drill-Driver Bits even more durable, longer-lasting, and sharper, they have a proprietary heat treatment. 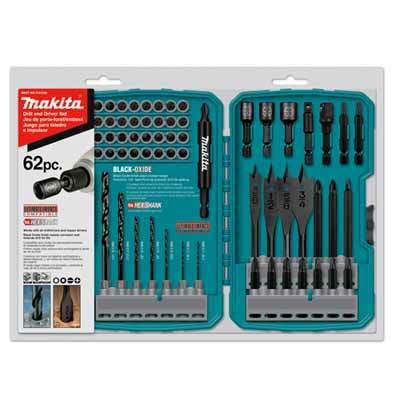 The Makita T-01725 set is also compatible with a wide variety of tools you may already have on your workstation. These include quick-change connector systems, drivers running on electricity or battery, as well as impact drivers. Such compatibility is due to the presence of Ultra-Lok 1/4-inch hex shanks, which also saves a lot of time and effort when changing the bits of the tools. High compatibility means there is no need to be overly selective when it comes to deciding on the tools to outfit with the other pieces, enabling you to do several projects with compatible accessories. For faster drilling, the Makita T-01725 drill bits are made from high-speed steel and also feature split point tips angled at exactly 135-degree, whose flat design significantly reduces the effort used in drilling through hardened materials. Nevertheless, since the split-point tips are not self-centering, you will need a pilot hole to keep the drill bit from “walking” on the surface of your drill material. You can put the Makita T-01725 to several uses including drilling, driving, and fastening. You will not encounter any resistance whatsoever when drilling through different materials, irrespective of their densities. The tools are ideal for boring through fiberglass, plastic, both soft and hard wood, and light metal and it comes with the most comprehensive set of screwdrivers and nut drivers of varying sizes to make boring a delightful experience. With seventy drill bits at your disposal, all your driving, drilling, and fastening needs will be adequately addressed. The Makita T-01725 Impact Drill-Driver Bit Set comes with a 12-month manufacturer warranty and an additional 30-day return/replacement guarantee. The Maxtech brand has been on the market for several decades providing professional contractors and Do-It-Yourselfers with high-quality products for performing repairs, improving homes and completing industrial projects. The Maxtech 53385MX Titanium Coated Set is a perfect example of their exceptional expertise, competence, and vast experience. The drill set comes with bits of varying sizes ranging from ten 1/16th-inch pieces to two 1/4-inch drill bit pieces for a combined total of seventy-five pieces. Such a comprehensive assortment of drill bits ensures you have at your disposal all sizes of drill bits for completing your projects. Because of their outer titanium coating, these drill bits have the ability to drill perfect holes relentlessly such that should your arms suffer from fatigue as a result, and the bits will still be in perfect shape and condition. The drill bits of the Maxtech 53385MX set is individually formulated with titanium nitride which acts as a metal coating to the bits. As a result, they have impressive high surface roughness making them resistant to corrosion. Irrespective of how hardened the material to be drilled is, there is a substantial reduction in the ensuing friction. The use of titanium nitride coating, therefore, means the Maxtech 53385MX is ideal for boring through stainless metal, PVC pipes, both hard and soft wood, among other materials. Another advantage of this feature is that you will be able to work, on average, six times longer in comparison to ordinary drill sets. Like most of the drill bit sets on this list, the drill sets of Maxtech 53385MX feature split-point tips angled at 135-degree with a complementary flatter design to ease the process of drilling through hardened materials. The split-point tips have self-centering capabilities thereby significantly reducing the possibility of "walking" at the start of drilling, which greatly increases your drilling precision. There is no reason to worry about the drill bits wandering away from the drill point. Furthermore, all the drill bits come with rounded shanks giving the ability to centre the drill bits in the chuck with great precision. The advantage of this is twofold: other than giving you additional control over the chip, it also eliminates the occurrence of stress points as you drill. The rounded shanks furthermore increase the efficiency of torque transmission making it a lot easier to bore through tough materials. The Bosch T118 18-Piece Titanium Twist is specifically aimed at professional contractors and Do-It-Yourselfers with a keen eye for quality, professionalism, and longevity. As the name suggests, the Bosch drill bits have a titanium coating to assist in giving them maximum protection and therefore increase their shelf-life when boring through the densest of materials. The titanium nitride coating significantly increases their endurance and speed when compared to standard drill bit sets. Bosch T118 drill bits can penetrate abrasive materials up to three times the normal speed of standard drill sets. The implication of this is that using the tools set saves a great deal of time and effort using these drill set. The Bosch T118 set owes its fast drilling prowess to its impressive engineering, which incorporates the speed helix. Faster drilling means you get to save a considerable amount of energy too, which, in turn, saves you a lot of money. The solid and sturdy construction of the Bosch T118 18-Piece Titanium Twist makes it ideal for boring through materials such as plastic, wood, and metal. The 18 drill bits that come with this package are more than adequate to take care of all your drilling needs. Titanium nitride coating has several advantages. First, the coating makes the tools ideal and sufficiently strong for heavy-duty operating such as drilling through materials of densities and compositions. The durability of the drill bits is also significantly increased, extending their shelf-life by at least times that of standard drill bits. All the drill bits are safely secured in a durable casing thereby reducing the chances of you misplacing them if you work in a busy environment. Additionally, the case protects the drill bits from getting accidentally damaged. The advantage to owning a Neiko 10197A Titanium Step Drill Bit Set is that other than the bits using a step-design, they are similarly made from titanium HSS. They are also a perfect combination of power and performance. 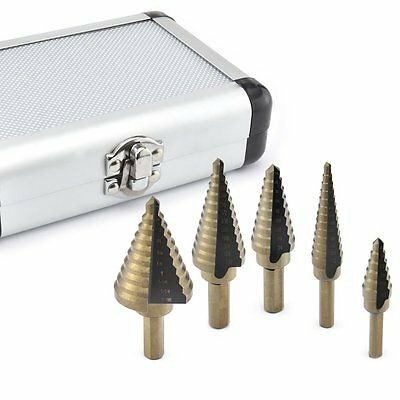 The drill bits are strong and durable as they feature a tough titanium coating that helps in amply boring through dense materials as if they were a piece of cake. Furthermore, the titanium nitride coating significantly increases boring speeds leading to cleaner and more precise holes. The design of the Neiko 10197A drill bits features a slip point tip angled at 135-degree with the aim of stopping the drill bits from "walking" or wandering on the surface of the material to be drilled. The two-flute construction of the drill bits serves to reinforce the function of the slip point tips. These features make it relatively easy for the user to quickly expel chips in a way that considerably increases their efficiency and productivity. The drill bits have a shank with a tri-flattening design. Which makes it possible for you to use the drill bits in conjunction with a shank. The tri-flattening design of the shanks ensures your safety by firmly holding the bits in place so as to eliminate the possibility of them slipping during use. Another equally significant advantage to the step-design of the bits is that it makes it appropriate to use the bits to increase the sizes of holes. Every drill bit in the set is heat-treated and therefore capable of working exceptionally well should you expose them to extremely hot circumstances. They are additionally provide great resistance to abrasion. The tri-flatted and step-design of the Neiko 10197A drill bits makes them ideal for drilling through a variety of surfaces of varying toughness such as metal, wood, as well as masonry. Nevertheless, we would not recommend you use the drill bits on aluminum. As a result, they are one of the most durable drill bits out there manufactured to last for years and years to come. The drill bits come carefully organized in a long-lasting aluminum carrying case to prevent the possibility of misplacing them and also to make it easy to transport them. The DeWalt DW5207 7-Piece set should be the first and only resort to professional contractors, and DIYers in search of a drill set capable of drilling clean and smooth holes through even the most abrasive materials. The drill bits offer a level of performance and versatility that other tools just cannot match up to. The DeWalt brand utilized the latest drill bit technology is making the DeWalt DW5207 7-Piece Premium Percussion Masonry Drill Bit Set. 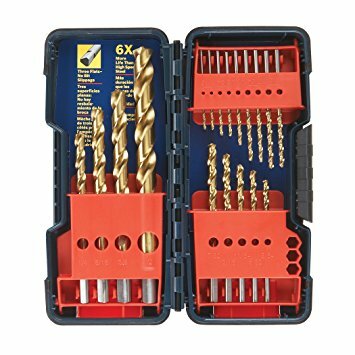 The result is a robust drill bit set that smoothly drills through bricks, blocks, concrete, and masonry. The DeWalt DW5207 drill bit set features the latest technology. The tips of the drill bits have a rock carbide design that maximizes drill impact when it comes into contact with carbide surfaces. Other than increasing ease of use, the feature also substantially extends the shelf-life of the drill bits. The use of a four-flute design in the making of the drill bits ensures you have a clean working station and increases your productivity by efficiently and quickly getting rid of boring debris. Like all DeWalt drill bit sets, the DeWalt DW5207 drill sets have a slip point tip angled at 135-degree whose aim is to stop the drill bits from "walking" or wandering on the surface of the material being drilled. The tri-flattened design of the shanks makes it impossible for the bits to slip away while drilling, thereby keeping you safe from injury. Also, because you can use the DeWalt DW5207 drill sets on metal, they are heat-treated making them capable of withstanding the high temperatures generated as you bore through hardened materials. The drill bits have sizes ranging from 3/16 to 1/4-inch, and they work perfectly well with chucks of sizes 3/8-inch and 1/2-inch. An important feature of the DeWalt DW5207 drill bits is the ability to pair them with a hammer drill, be it electric or battery-operated. Moving about your workstation with DeWalt DW5207 drill sets is no problem at all. The bits come in a useful case for easy transportation and for keeping the pieces together. You can purchase a separate a separate belt clip to give you the alternative of attaching the drill bits around your waist and effortlessly move around with them in a single place. Do you have an eye for industrial-strength drill bits with the capability of drilling smooth holes of identical sizes? Then look no further than the Black & Decker 15557. The sizes of the drill bits have a drilling range of between 1/16-inch and 1/4-inch and can work perfectly well when paired with a hammer drill with a 3/8-inch chuck. These drill bits are perfect for penetrating through different rugged materials around the home with utmost ease. As a result, you can use it on plastic, wood, and steel. Since they start drilling the very moment they come into contact with drilling material, you will end up with smoother and cleaner holes. The ten drill bits in this set are more than enough to enable you to complete a wide range of masonry and steel drilling projects. Low-quality drill bits have a tendency of heating up to unbearably high temperatures following hours of use. This is not the case with Black & Decker 15557 drill bits. The construction of the drill bits is aimed at making them quite resistant to both heat and abrasion. Additionally, you will be using the drill bits for several years since the industrial-grade steel used on the cutting allows for the re-sharpening of the cutting edge. Keeping in mind that the Black & Decker 15557 drill bit set is basic, it should not be used for heavy-duty industrial applications. We highly recommend that before using these drill sets, make a point of properly lubricating all the bits with a lubricating agent so as to get more out of them. If you want to drill a large hole, it may be necessary, to begin with, a small one before proceeding accordingly. 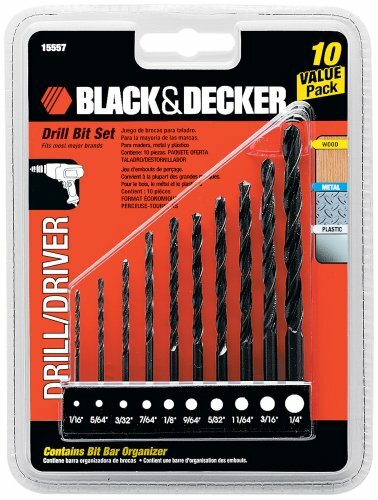 In all, the drill bits of the Black & Decker 15557 are sure to last a lifetime with proper use of recommended materials, drilling into wood and other densely composed materials with exceptional performance. For purposes of convenience, the drill bits set comes with a plastic drill bit holder, so you can transport bits around your workstation with relative ease. When choosing the options in our top 10, we made sure to follow some strict quality criteria. We suggest you use the same criteria for your own search before making a purchase. Drill bits come in several metal variations, and their suitability for working with particular materials also differ significantly. In case you are intending to use the drill bits to bore through metal, pay particular attention to available robust varieties capable of delivering superior performance. Abrasive materials such as aluminium and stainless steel, for instance, will necessitate the use of industrial-strength drill bits that do not whether quickly. Having decided on your preferred construction material, the subsequent step is looking at the most suitably designed drill bits. Other than differences in design, there are also differences in boring angles, and your choice should be informed by the materials you intend to drill. A step-design is more appropriate for drilling through hard metals compared to twist designs. Drilling is a tough job, and in cases involving hardened metals, there is a high likelihood of generating high temperatures and corroding the cutting edge of the drill bits. As a result, it is important that your choice takes these two factors into consideration when searching for drill bits. Time and again, titanium and cobalt have been praised highly for their ability to resist heat and abrasion. As already mentioned, drilling through hardened materials generates heat and friction, which, with increased use, reduces the cutting edge of the drill bits. Since titanium is an industrial-strength material, sharpening it is exceedingly difficult. Cobalt, on the other hand, is easy to re-sharpen. Since titanium coating guarantees you a longer shelf-life, sharpening it may negate this advantage. Drill bits have sharp tips that various manufacturers make a point of coating so as to enhance their versatility and performance. The two most common types of coats used are the black oxide and titanium oxide or nitride. While the former is effective at strengthening the tips, it is unsuitable for non-ferrous metals. The latter, on the other hand, increases the capability of drill bits to bore through abrasive materials by increasing their resistance to corrosion and strength. Q: What are drill bits? A: Drill bits are the apparatus professional contractors, and DIYers use to bore holes through the surface of different materials such as wood, PVC pipes, metals, and plastics. They vary greatly in design and size. While those with twist designs are more suited to drill through metals, plastic, and wood, the ones with step design easily drill through abrasive materials. 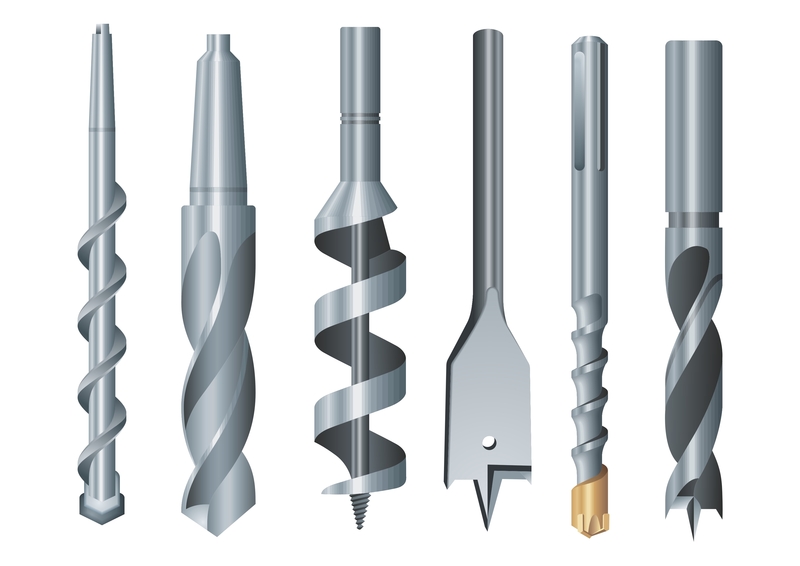 Q: What types of materials are used to make the drill bits? A: Drill bits are made from numerous materials offering different degrees of resistance to wear-and-tear, strength, and cutting edge. The harder the material used to make a drill bit, the more expensive it will be. The various types of materials used to make drill bits, in ascending order of hardness, are carbon steel, high-speed steel, cobalt steel, titanium-coated, and lastly carbide. The main difference between titanium-coated drill bits and carbide drill bits is that the latter drills through stainless metal and other hardened materials with a lot of ease. Q: How do I stay safe while drilling? A: When paired with hammer drills, drill bits rotate at exceedingly high speeds and in the process of drilling, especially through metal, produce a lot of drilling debris that could get into your eyes. Given the proximity of your face to the flying shards and splinters, it is a good to protect your eyes by wearing eye protecting goggles. Heavy-duty projects will automatically necessitate the use of gloves and ear buds in addition to the goggles. As much as possible, have an extra pair of hands in the workstation to help with handling heavier drilling materials. C-clamps are of great help with securing smaller applications together before drilling. Drill bits today are considered a necessity in the workstations of professional contractors and at home. They are a must-have tool for those who regularly perform repairs and improvements around the house. We based our selection of the ten best drill bits on the material used to make drill bits, design, longevity, the possibility of re-sharpen, and the type of coating. In our analysis, the clear winner is the DeWalt DW1263 14-Piece Cobalt Pilot Point Drill. The drill bit set adequately addresses all your drilling needs and is perfect for tackling a multitude of applications without stress. 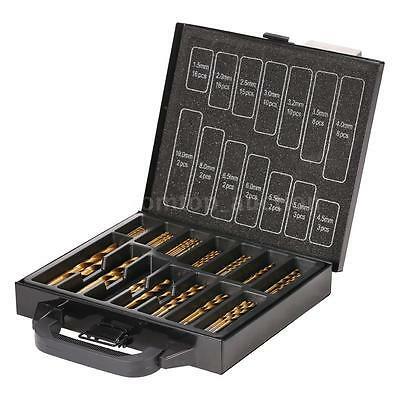 The superior quality drill bits are neatly arranged in a convenient carrying case for easy transportation.